The presentation is done and our writeup is available here. GBAtemp's coverage of the stage and big shows of E3 2013 (Our e3 schedule thread) continues now with E.A.'s. Microsoft has just gone and unlike some other years EA was not a major presence in it so they presumably have more to come. Generally the non hardware conferences, a relatively recent addition to E3, are worth watching as they usually take the time to showcase their games in detail but as we saw a relatively complete battlefield playthrough in Microsoft's presentation what will happen here is somewhat up in the air. As before we are taking bets on how badly attempts at humour will go over, how much unintentional humour will happen (sadly for GIF fans Microsoft did not provide) and the buzzword bingo game will be running as always. Feel free to join us on IRC to discuss things as they happen. 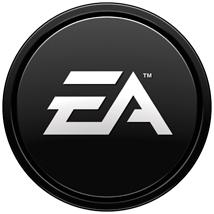 Like or dislike them it is a fact that EA are a major player in the games world and they do a lot of note. Recently they were observed to being stopping their disliked "online passes" program for future games and are slowing rescinding it for older ones as well, this was done when the Xbone always online/game licenses stuff was at best a rumour so this might be seen in a different light now. Most are not really expecting much more than sports games, need for speed, Medal of Honor and Battlefield but as several of their big name franchises (mass effect, crysis, army of two, burnout and dead space to name but a few) have finished a given run, have already been released this year or have not been seen in a while things could happen. Likewise they have an intellectual property catalogue that rivals anything (not to mention they now have the Star Wars license) and they are in a need of a bit of cash injection so we could see something along the lines of "well, if it works for Nintendo" happen*. EA are slowly winning back the hearts of some game players though they have not had the most profitable of years, can they keep it up? EA promised 11 games all of new code apparently (though to be fair it is not like they have anything left to come out after last year's E3 unlike the others) which they mostly did. Another fairly tight presentation give or take a little slip with dragging singers and sports people on in the sports section. GIF makers might well have a hard time this year. Features a commander mode where the commander has a rough overview and can call in support/direct people. Not new in such games but new to the more popular games world. 32 vs 32 seems to be the order of the day and could make for some nice teamplay.... assuming you can find people to play well in a team. Destructible environments (whether complete or lots of set pieces remains to be seen) and done on a fairly large scale. Some footage after a fashion was shown, got several people on IRC excited as the original has gone on to become something of a cult classic. Footage was notably fight heavy though. More of the same really if you saw the Xbone footage. If not it is a mechs, FPS (with weak jetpacks) hybrid thing. Looks like it could do well actually. Snow CGI and not a lot else. The original battlefront titles had a fair following back in the day. Pretty looking need for speed game with single player, co-op and rivals modes. What was of note was the somewhat seamless single player to multiplayer shift, in practice it is kind of like the mini races you have seen in some of the later modern Need for speed games but with actual people. In the example race there was a lack of non player/non police cars in the multiplayer, it might be “because it was raining” but that could be a thing to watch out for. Oh and they are making a film with the need for speed name. Probably the September/October 2014 period. It was so much CGI and generic “OMG fantasy” wording but it is new and you get to “change the world around you”. Plants vs zombies - garden warfare. Peggle 2 was mentioned, rather enthusiastically no less, but nothing more was said on the matter. EA do sports, sports games are not what we deal that well with so most of the time it was just an excuse to laugh at phrases using balls taken out of context though "I knew he was going to try to take me down so I took him down first" was pretty classic. Perhaps the most notable is the Wii U was not really mentioned and many things did seem to be PS4/xbone focused. They also mostly kept their singer and sports people contained to this section which was nice, could have done without some of it but hey. Basketball, madden (American football), FIFA (football) and UFC were the things demoed. These games seem to share something of a codebase and throughout it all the buzzword seemed to be AI driven better movement and ball physics where applicable. Also stats are in for basketball (they already appeared last year for various things called football). The UFC game is due out in Spring 2014 and gave us the delightful term MMAi, not as bad as the car racing term in the Microsoft presentation but not ideal. I really don't know what to expect from them. I guess Sims..
Haha, man, PvZ sure looked like fun. Personally, I'd play that, even if for a little while. Shame it's a Microsoft exclusive. So, Battlefront... I was hyped. Then I realized it was made by DICE. And my hype died... for now. Unless they end up making a unique shooter, I probably won't like it. And NFS... Would it be good? Dunno. Last good NFS I remember is Most Wanted, and that is a really old game. lol warcraft 3 trailer new dragon age! Did they say anything about the PC version? Yeah, I hope so too. I'd like to play this game, but I don't plan on buying an X1 just for it. Woohoo, Mirror's Edge 2. Okay, now I'm hyped. Mirror's Edge was awesome, and 2 looks as awesome too. As for the press conference, the best word to describe it is: B-O-R-I-N-G. So, what was great was Plants Vs Zombies: Garden Warfare, Star Wars: Battlefront and Mirror's Edge 2. Everything else was awful. Like, seriously, did they really have to spend 30 minutes to talk about sports games? I want to watch the Ubi conference too, you know, and all you did was put me to sleep. Also, why call all that footage "actual gameplay", when all they've shown was either CGI or cinematic scenes from the games. Stupid. And then there's Battlefield 4, which didn't impress me too much. Watching their scripted match was interesting and all, but it was so scripted, it looked like a bad movie. And the gameplay didn't look that interesting either. Just your regular shooter. And why would they rely on tablets for actual gameplay? Overall, bad conference, second in a row. 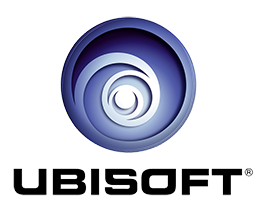 Next is Ubi. Watch Dogs is enough to wipe the floor with both EA's and Microsoft's conferences, so, can't wait. Sorry for the double post, btw. All we need to know was Battlefront is alive which means this conference was great. Mirror's Edge 2... tears were shed. Battlefront revival, alas we didn't see the actual game. Battlefront and ME won't see the light until late 2014 more or less. ME might come out Q2 2014 if we're lucky.